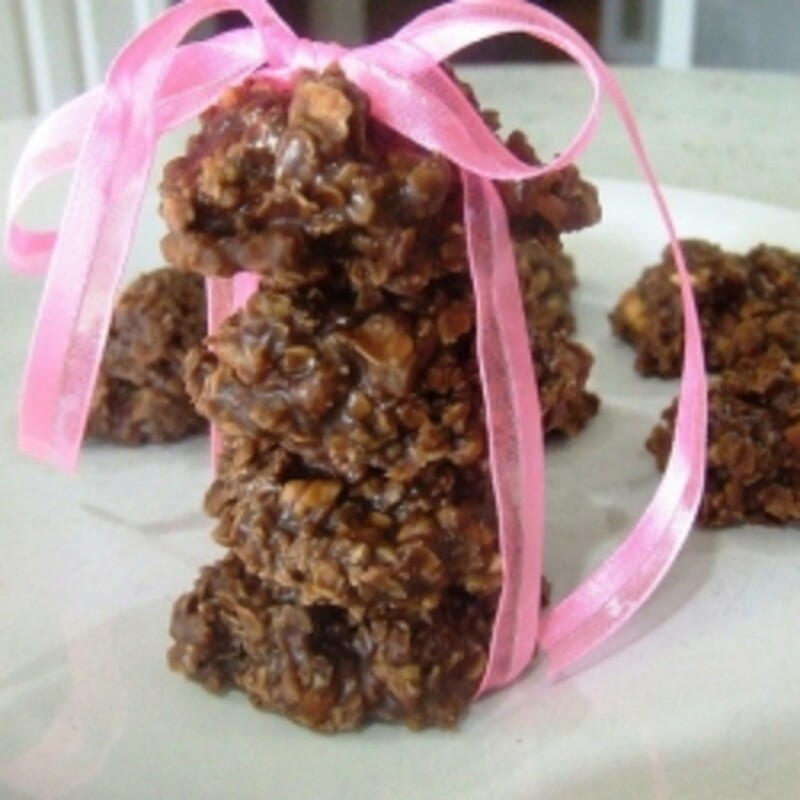 I always come across some wonderful recipes that I would love to make, but most of them, especially sweet ones, are all made with refined sugar or artificial sweeteners. 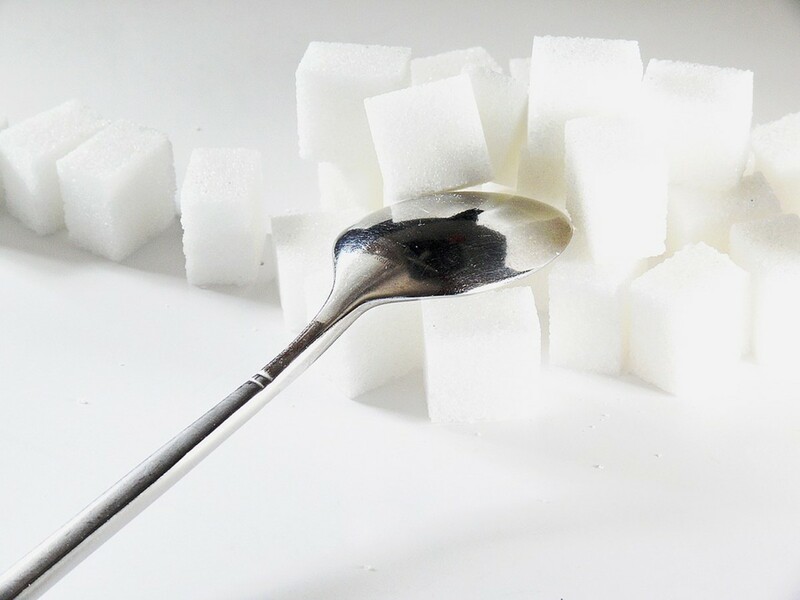 As a diabetic, I try to eliminate refined sugars and artificial sweeteners whenever possible by adapting my recipes according to a few tricks that I have learned over the years. I completely control my sugar levels by the foods I eat and the exercise I do, so this is very important to me. 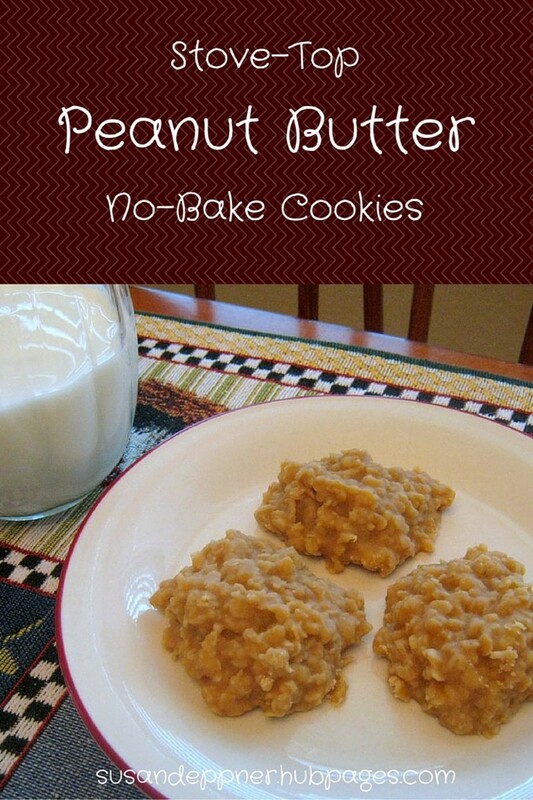 I came across a terrific lens here on HubPages for making No Bake Cookies by ItayasDesigns . They were wonderful except that I had to adapt them to eliminate refined sugars. I would like to share my adaptation here, but will not feel bad if you check out her recipes also. Some of them looked really good. Generally. 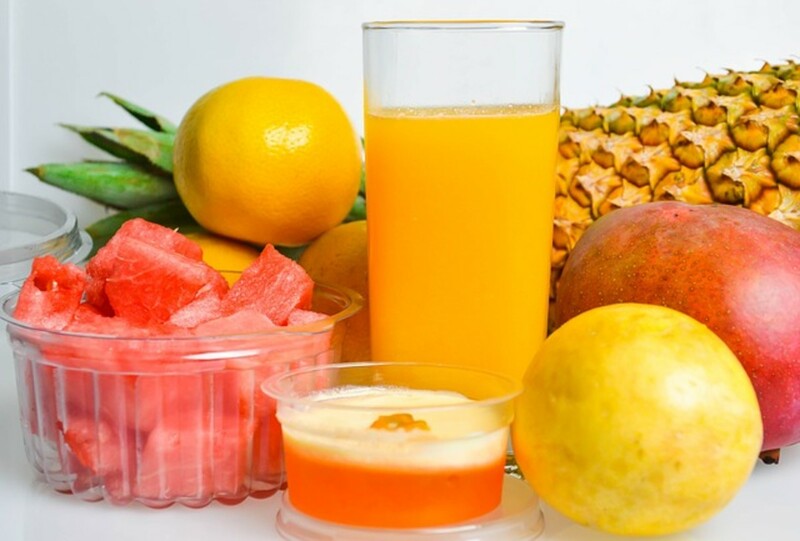 for a diabetic, your best choice for sweets are fresh fruit. Sometimes though, you just want something different. Put the fresh fruit to use as a natural sweetener for things you make, baked or unbaked. 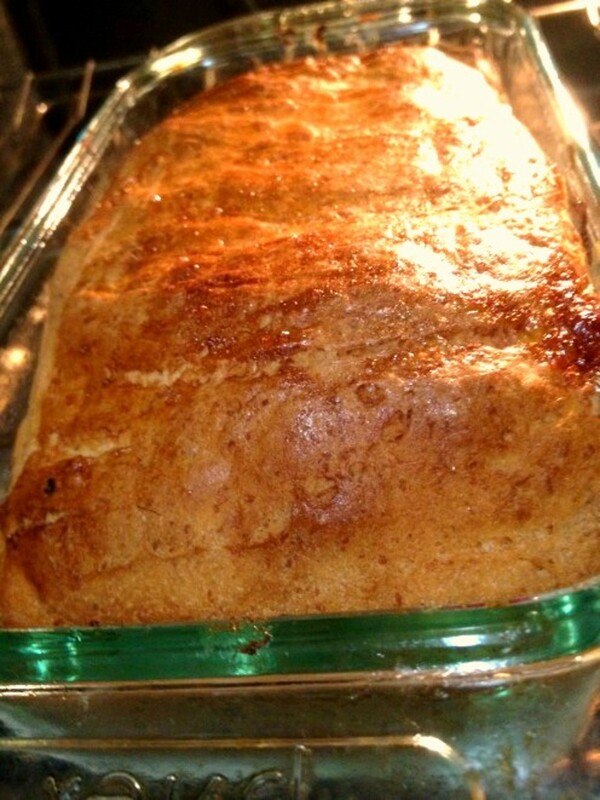 In the following recipe I used a banana and half a cup of unsweetened applesauce instead of sugar. 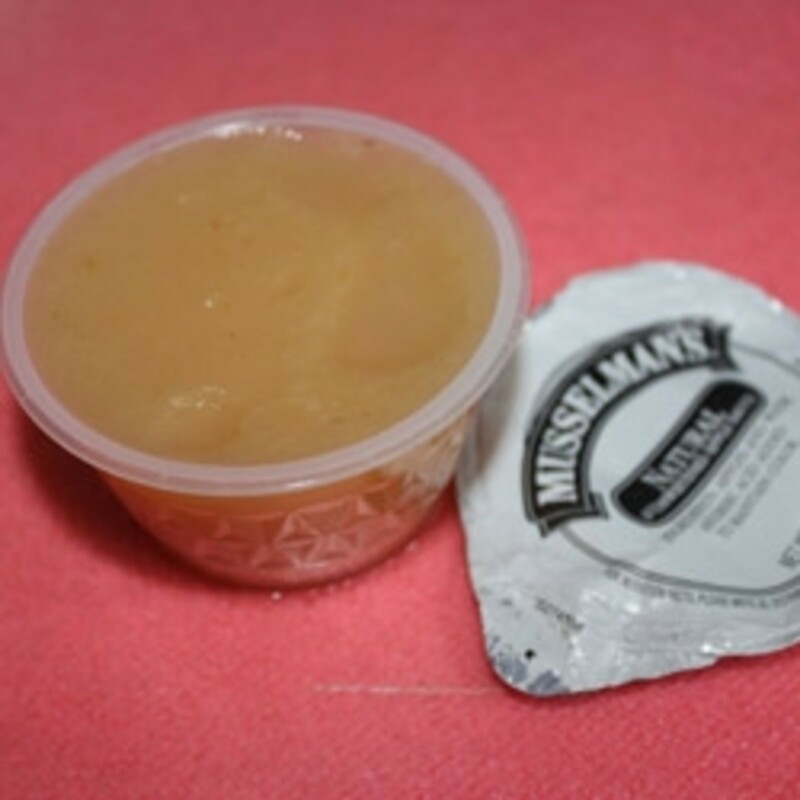 The applesauce is also a good substitute for fat in cooked recipes. Here I used half the butter that the original recipe called for. 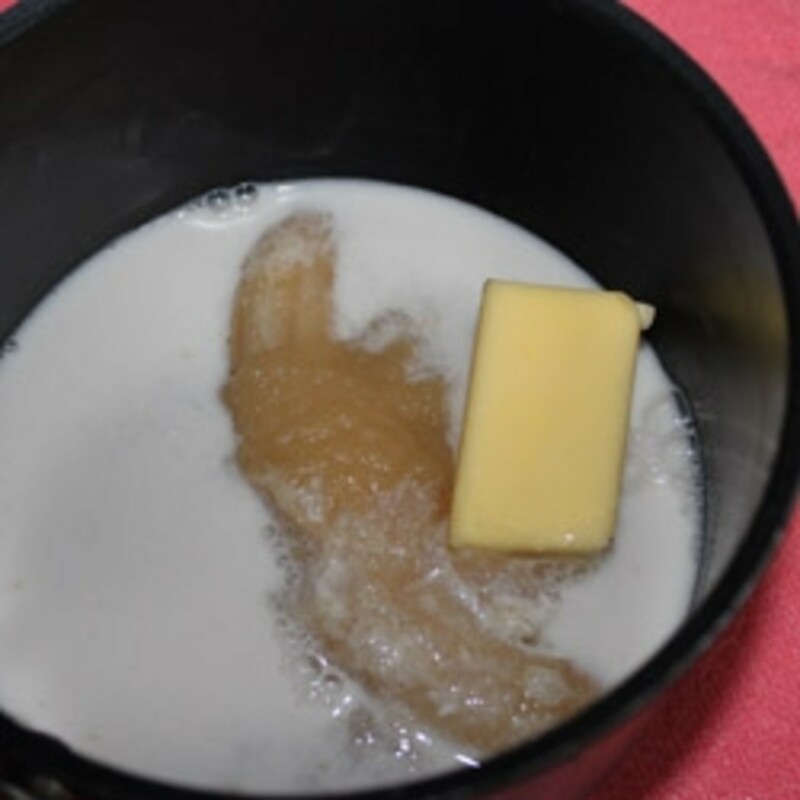 Some fat in a recipe is good to help slow down the uptake of sugar into the blood. Of course, using the natural whole fruit also slows down the uptake because of the fiber and the fact that it is not refined. I use Stevia as an added sweetener for all of my recipes. It is a natural sweetener made from the leaves of the stevia plant. I avoid un-natural artificial sweeteners as much as possible. I use the pure stevia extract, but it is also available in products such as Truvia and Stevia in the Raw. Those two have something added to fluff the stevia up so it measures similar to regular sugar. Pure stevia uses a very small scoop which is included in the bottle and is equal to about 1/16th of a teaspoon per serving. a storage container that can be put in the freezer. I usually keep ripe bananas in the freezer so I have some for cooking. Peel them first before freezing. Make sure it is unsweetened. Make sure the cocoa is unsweetened. The stevia will make up for its bitterness. Mix these together until well combined. 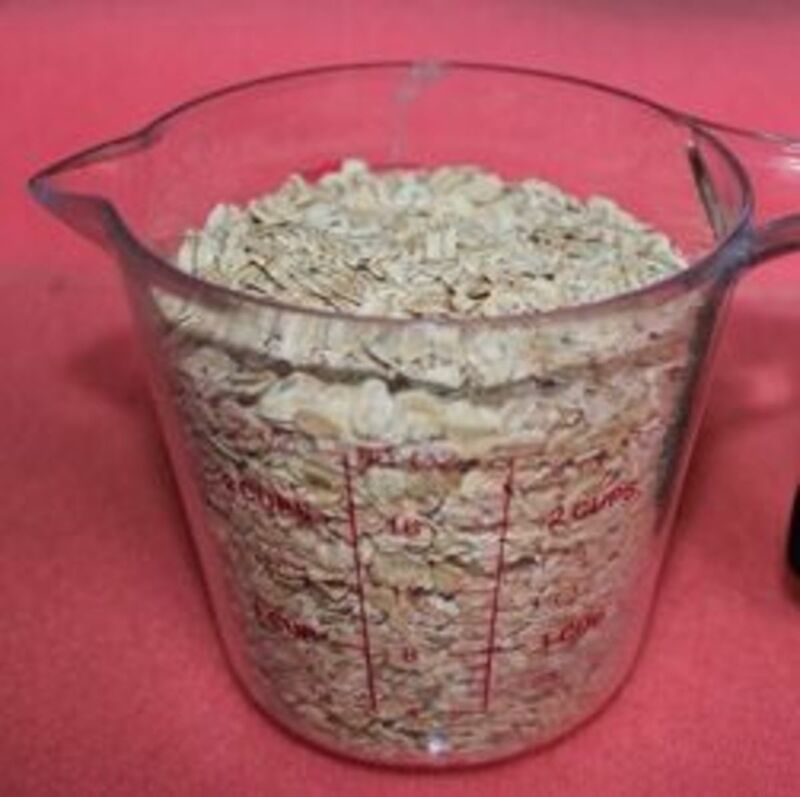 I use rolled oats because they have more fiber and protein than quick oats which have been refined. 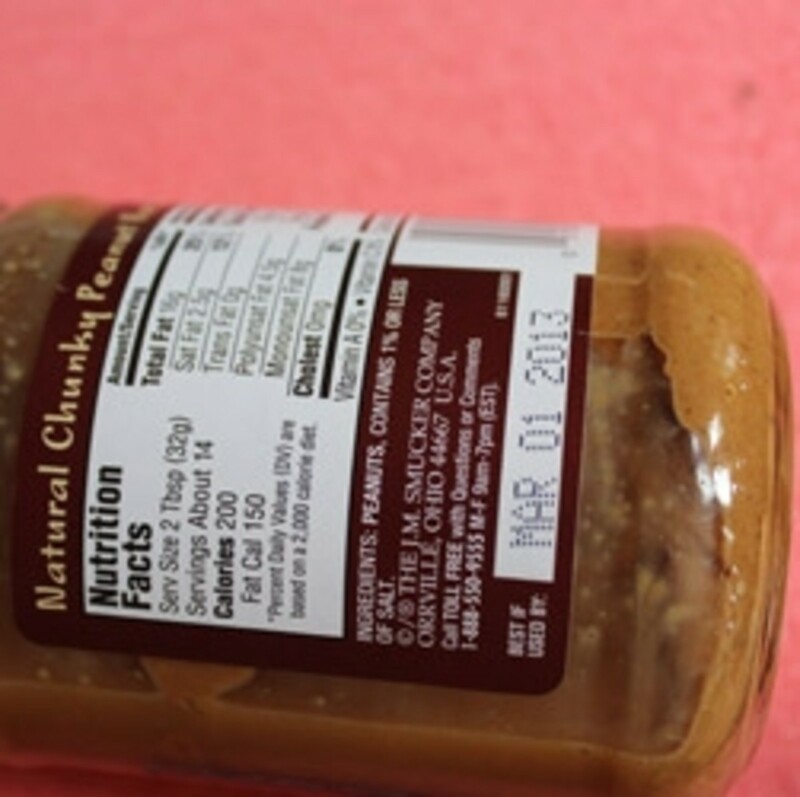 Look at the label and make sure there are only peanuts and a small amount of salt; no other ingredients, especially sugar. 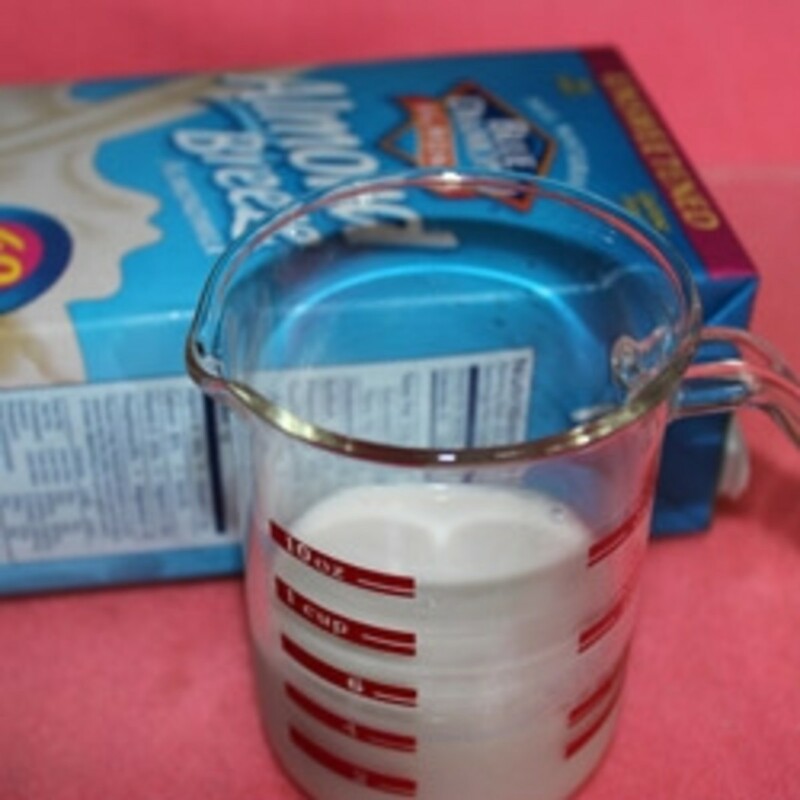 This is a very rounded tablespoon of the mixture to make one cookie. Be sure to put waxed paper between layers of cookies. 1.Combine the banana, applesauce, almond milk, butter and stevia in a sauce pan and heat, stirring until blended..
2. 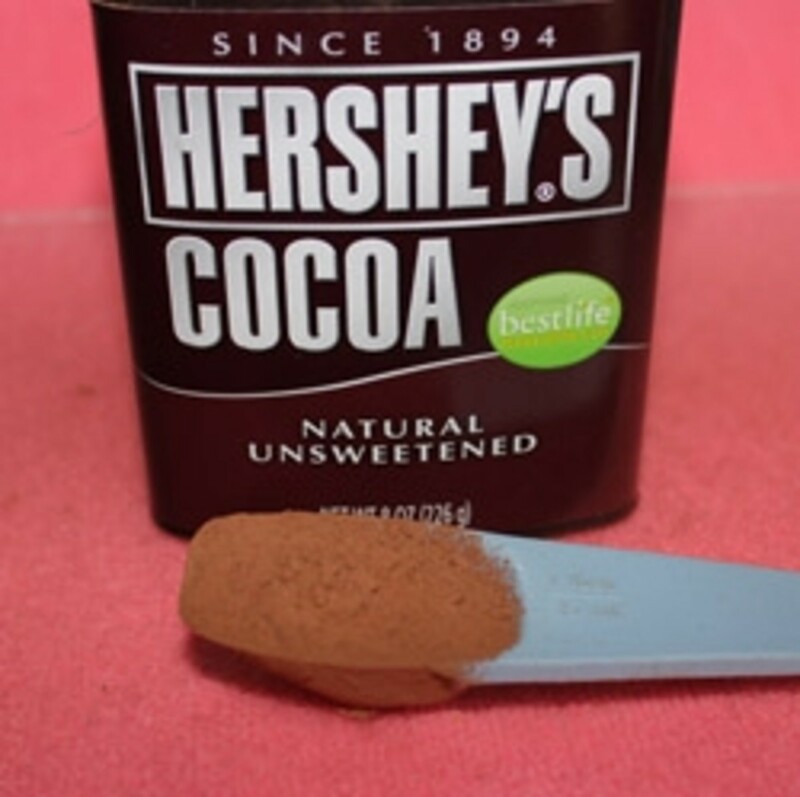 Stir in the cocoa powder and cook for 1 to 2 minutes, stirring constantly. 3. Turn off the heat and stir in the vanilla. 4. Mix in the oats. 5. Mix in the peanut butter and stir until mixture is even. 6. 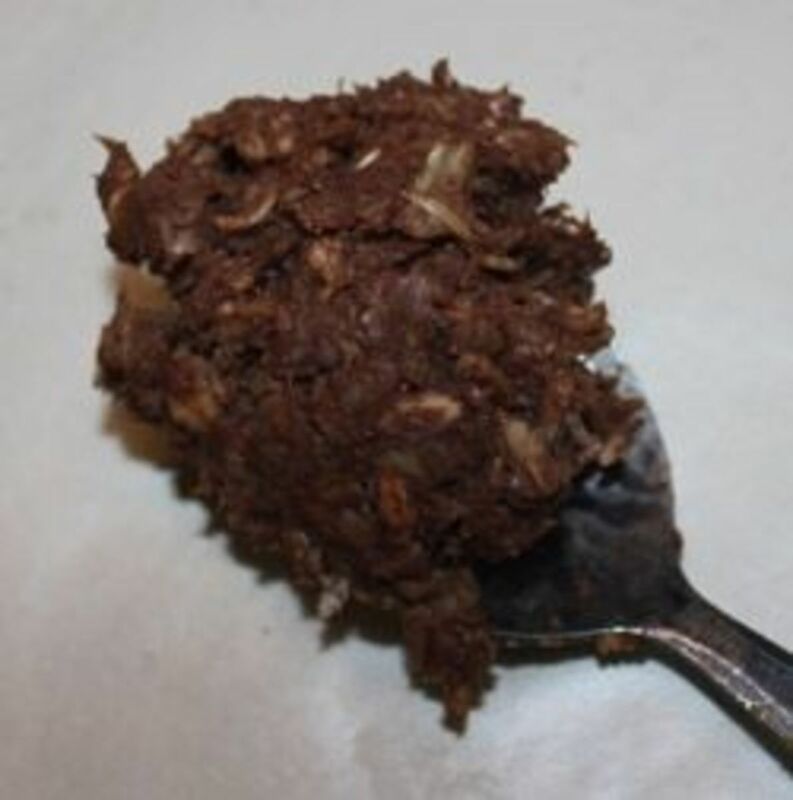 Using a tablespoon, scoop out enough mixture (see picture) to make 24 individual cookies. 7. Place each scoop onto wax paper. 8. Press them flat with your fingers so they are about 1 1/2 to 2 inches round. 9. Allow them to set up for an hour and then place them in a freezer container. See #11, note about using coconut oil instead of butter. Put waxed paper between each layer. 10. You could leave a few out to eat right away, but they are firmer and taste better once frozen. Unfrozen, they keep about three days in a closed container. 11. 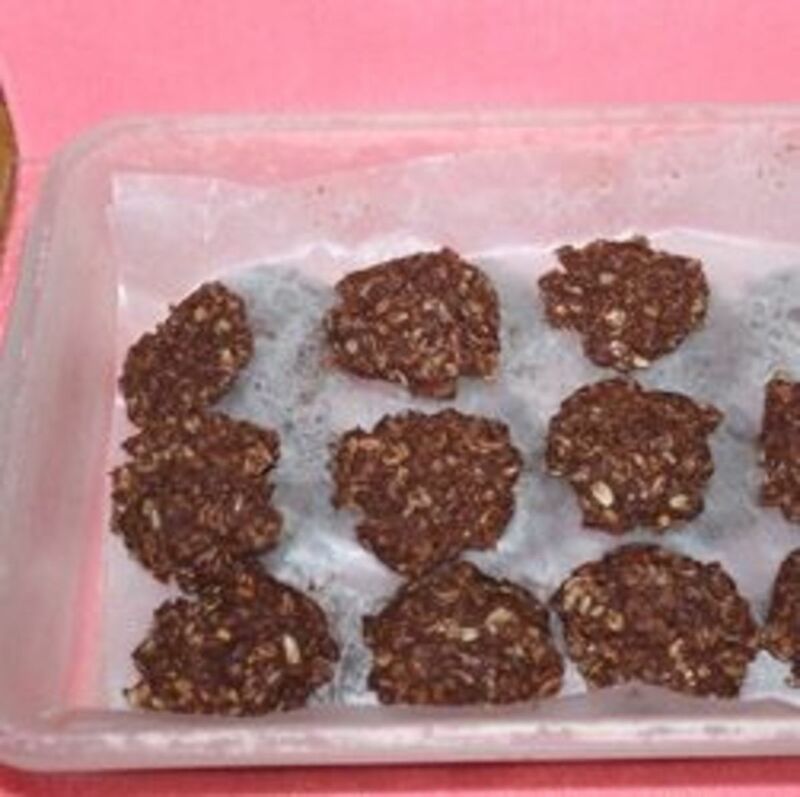 If you use coconut oil, the cookies will firm up as soon as you put them in the refrigerator, so you don't have to bother with freezing them. 12. Swap out the oatmeal for quinoa flakes and the cookies become gluten free. You might to play around with the amount of quinoa flakes to get the consistency you want. I keep looking at this recipe and have been trying to figure out a way to adapt it without using any grains. I have used quinoa in place of the oats, but I am trying to be completely grain free since realizing I also react to grains besides wheat. When I finally come up with a solution, I'll be sure to write a new recipe for it. Most times I use silicone baking sheets instead of wax paper for these. It makes it easier to remove the cookies when ready. These sheets work great for baking, too, instead of parchment paper. You'll find that all the other recipes I have for diabetic crackers and cookies are baked on these sheets. I also cut one into an 11-inch round piece to fit on my pizza pan. I thought you might appreciate some cookbooks using Stevia. There are a few things you do differently to make up for the lack of refined sugar so these books are very helpful. This was the very first cookbook I got after discovering stevia. It has a great introduction that fills you in about the history of getting stevia's approval to be sold in this country. I really appreciated having a source of how much to use in recipes. The recipes were not gluten free, but they were refined-sugar free. I still use many of the recipes today, but just substitute nut flours for wheat. Although not completely gluten free, this cookbook uses healthy ingredients in conjunction with no refined sugars. Most recipes are easily adaptable to make them gluten free, grain free, dairy free and nut free, whatever your special needs. It is especially great if you are a dessert and baked goods person, and just can't do without those special treats. If you have some other recipes or suggestions for this one, we would love to hear about them. Every now and then I have the taste for something sweet. I think your cookies will be just what I need. They sound delicious. I love that you don't have to bake them. These cookies look great, and they would be a good excuse to finally try stevia. I love sweets and I probably have diabetes. I think I'll try your recipe once. I love the idea of cookies without the heat associated with baking in the summer. 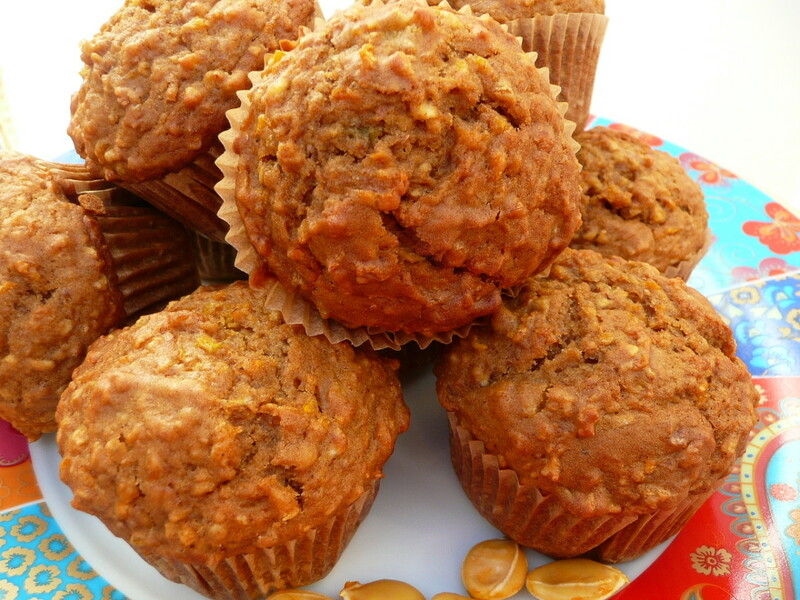 These look really easy as well as yummy and healthy! Thanks - my new father-in-law, who is a diabetic, will appreciate these cookies when he visits next! An excellent alternative! 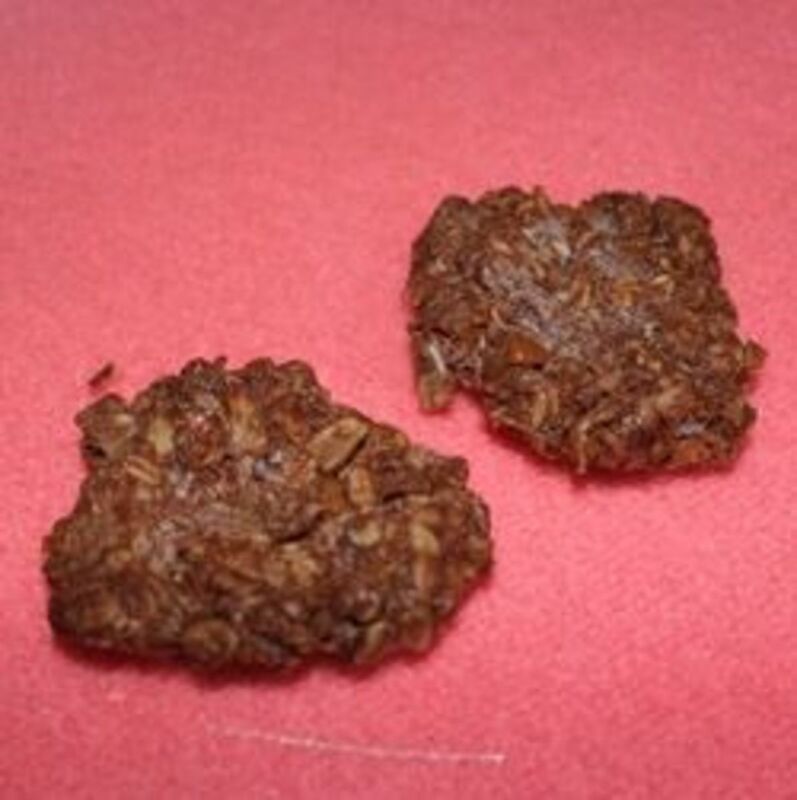 I'm going to link to this page from my no-bake cookie recipe lens. In fact, I'm anxious to try your version. Thanks! I love this recipe the original way. I am going to try it. Bookmarked. I'm so glad I read this. 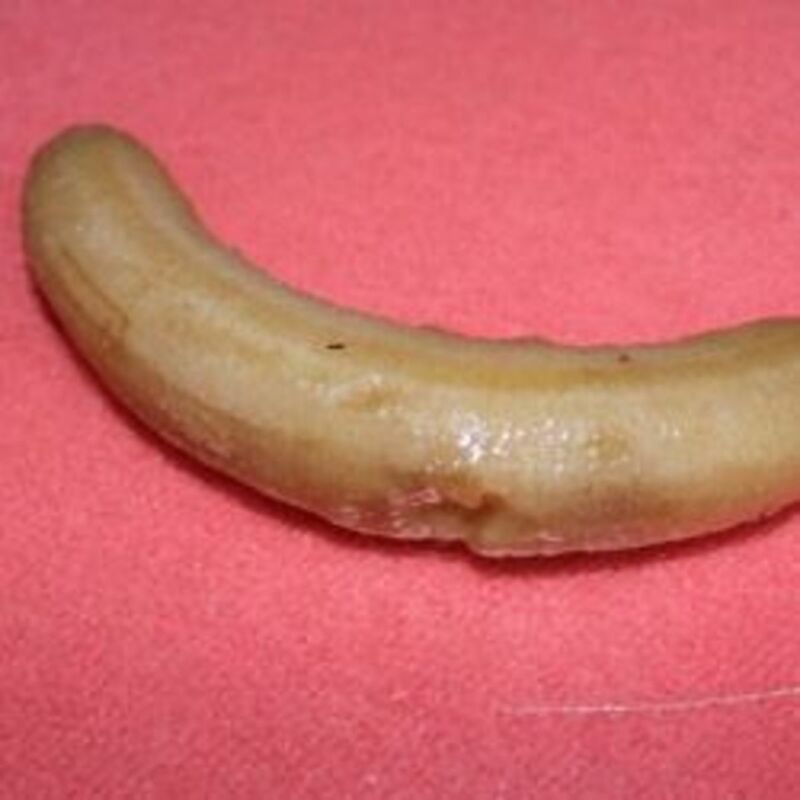 I never would have thought of using fresh fruit like that and I really like the tip about freezing bananas. Thanks for the great information. @anonymous: Sorry about the omission. I'll correct it. Made them yesterday and they turned out weird. 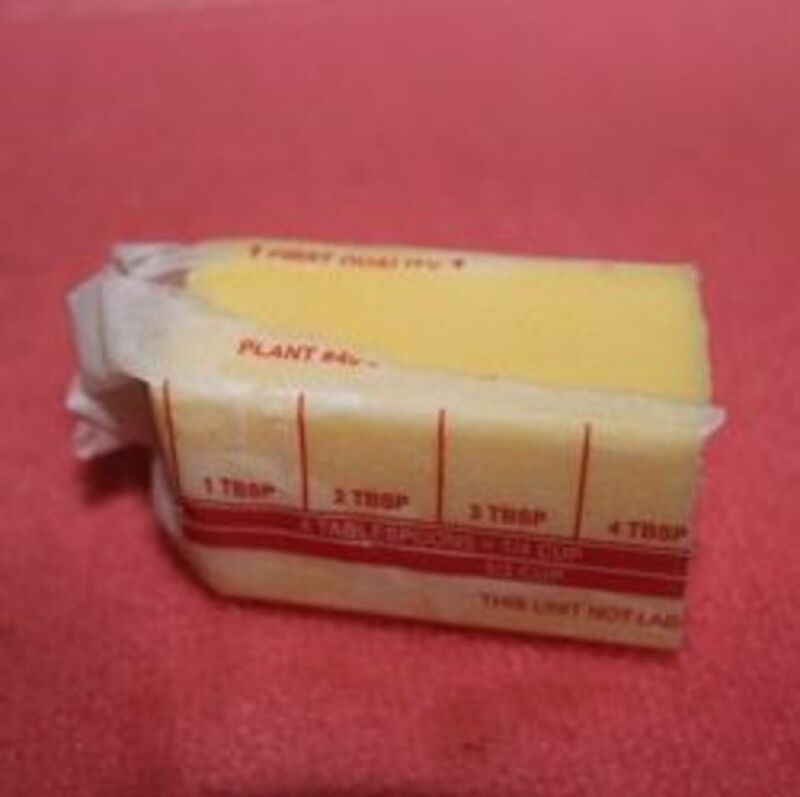 Later I looked at the website again, and there is a picture of butter. In the recipe it doesn't say butter, so I didn't use any. I'm assuming the recipe has 4 tbsp as that's what the picture shows. Anyway, may want to change it for other users. Thanks! Good recipes.. I also have to watch out my sugar level. thanks for sharing..